It's Friday, yippee! And it's my sisters birthday... Happy Birthday Stac! Love you. I was off work yesterday and still on a high from the Justin Timberlake concert Wednesday night. I can gladly say, it was just a good the second time around. JT did not disappoint. That man has some serious #swag. I got some of my Christmas shopping done (finally). Shopping is so much better during the week when most people are at work. I got so much accomplished! When I was at Target I saw some of their Tacky Christmas sweaters on display and was reminded of the couple of parties I need one for. I am hearing about these parties more and more often and we're actually all wearing one for my Mom's Christmas this year too. I haven't decided which one I want yet, but I've included some of my favorites below from multiple places. Plus, right now at Target (online only) it's buy one get on 50% off. I've linked some for the entire family, check 'em out! 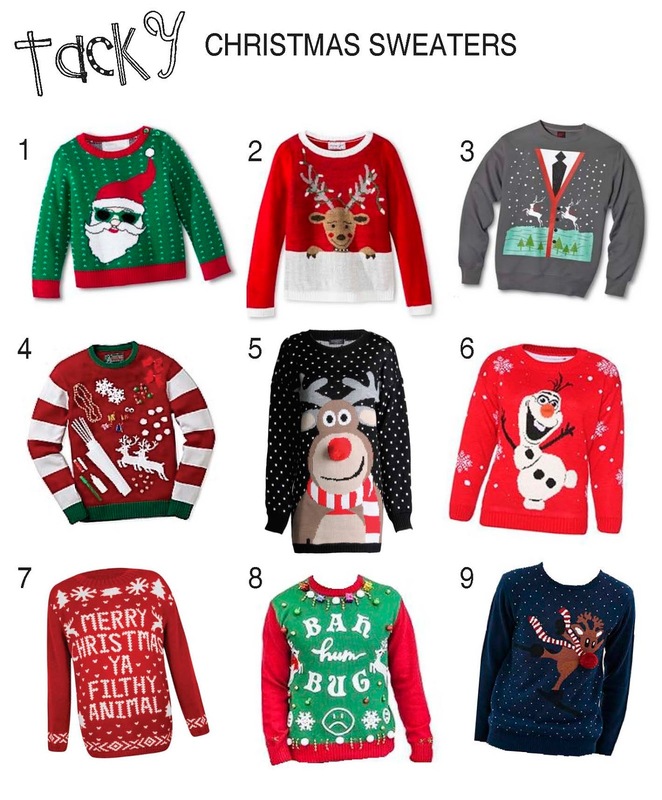 This post isn't entirely about Tacky Christmas Sweaters though, I mean, it is a style blog. I love everything about this outfit. Boyfriends paired with a beanie are one of my cold weather favorites. And can we talk about these booties for a second. The color with the strap detail, perfection!